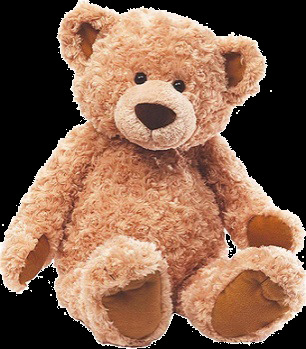 Win this gorgeous Gund Teddy Bear worth £48! Simply choose a name for him or her and our favourite entry will win the adorable bear! This adorable Gund Teddy Bear measures 61cm. Soft and plush, it has wonderful super-soft swirly fur and is suitable for ages one and over. To win this loveable teddy, simply choose a name for him or her and send it to competition@cosyfeet.com by Thursday 30th November 2017. We will pick our favourite name from the entries. Good luck! By submitting an entry to our competition, you are consenting to us using your name on our website and in future newsletters. Competition entries must be received by Thursday 30th November 2017 - please see below for our full competition terms and conditions. To be in with the chance of winning a Gund Teddy Bear worth £48, simply choose a name for him or her and send it to competition@cosyfeet.com by Thursday 30th November 2017. We will pick our favourite name from the entries. All competition entries will be added to our email mailing list. By submitting an entry into our competition, you are consenting to us using your name on the website and in future newsletters. We reserve the right to withdraw this competition at any time. The cutest bear I've ever seen!